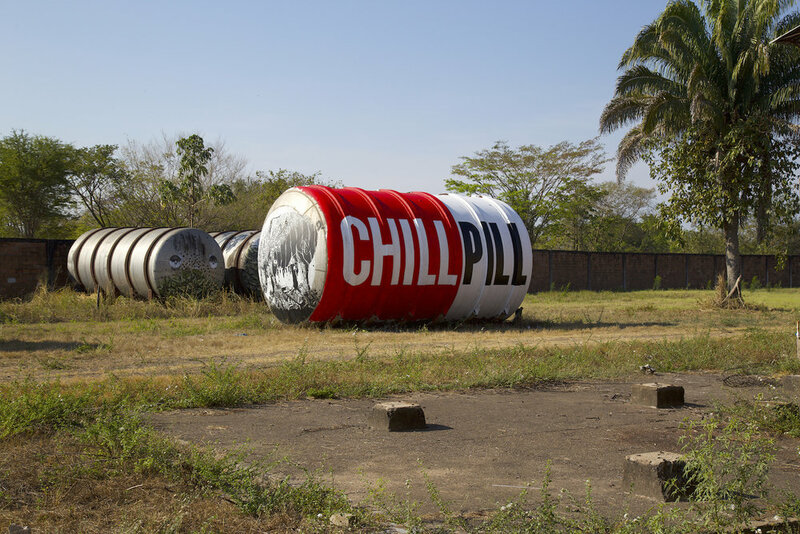 An abandoned rum distillery in the midst of the northern Colombian jungle, renowned and up coming street artists, tanks, pipes and industrial equipment as canvases, and total artistic freedom. This is what you can imagine #ArtDistilled to be like. The area around the distillery is vital for the fight to maintain Colombia’s immense biodiversity, and the project will be supporting other conservation projects in the region. Sitting between Perija and Santa Marta mountains, the distillery is surrounded by endemic birds, plants, insects, and mammals. From Jaguars to hummingbirds these jungles and mountains are home to some of the rarest and most important species in all of South America. For this reason #ArtDistilled is a project with a charitable goal: once the collection is complete, the artwork will be removed and will tour the world. A charitable auction will then follow, with proceeds going to an established charitable foundation. The First Edition of #ArtDistilled took place in May 2018 where globally-renowned artists such Ben Eine, Toxicomano, Stinkfish, D*Face, M-City, ERRE, and MONSTFUR painted the distillery. The Second Edition of #ArtDistilled is coming on January 26th, 2019. More than 10 new street artists will arrive to make their mark on the world’s greatest graffiti museum: Gleo (Colombia), Cranio (Brazil), Nychos (Austria), Faith 47 (South Africa), Daleast (China), TomBobNYC (USA), PixelPancho (Italy), Shue77 (Austria), MadC1 (Germany), Toxicomano (Colombia), Erre (Colombia), Chicadania (Colombia), Pez (Barcelona Spain) and M-City (Poland). Mariusz Waras, curator of the project, reckons #ArtDistilled will be amongst the most important, magical and mysterious place on the urban art global art! Looking forward to check this artistic jungle out! !